Slippers are a classic holiday gift idea. They are cozy for the winter months and getting a new pair for Christmas is always a great feeling. Getting a pair of Star Wars themed slippers? Even better, if you're a Star Wars fan. Here are some comfortable novelty slippers made just for Star Wars lovers! These cute slippers look like the droid R2D2. They are comfortable plush slip-on slippers made of polyester. This cute full foot slippers have a fun Star Wars dark side print on them with a 3D plush TIE Fighter on top! These are black slip-on style slippers in black. They feature a large 3D plush Darth Vader mask / helmet on top. These fluffy brown slip-on slippers are styled as Hans' bestie Chewie. 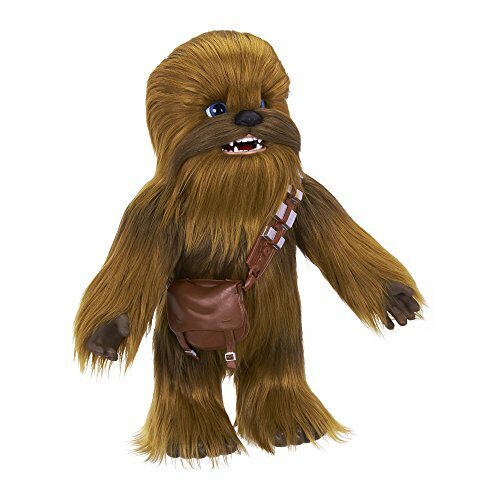 The Wookiee's face is plush on top. These slippers are styled as the bounty hunter Boba Fett. They are slip-ons and feature Fett's mask in plush on top. These green slip-ons feature a plush Jedi Master Yoda face at the top. Warm your feet will be with this slipper set. If your Star Wars fan would like a more subtle look to his or her slippers, these logo slip-ons should fit the bill. From Trouble to Monopoly, here are some of our favorite Star Wars edition board games. Put your knowledge of Star Wars-abilia to the test with Trivial Pursuit or save R2-D2 by removing bad droid parts in... What's your favorite board game?